We’kwistoqnik’, where the fir trees are plentiful, so derived our communities name Eskasoni. One of 5 Mi’kmaq communities in Cape Breton, 13 in Nova Scotia, Eskasoni is the largest Mi’kmaq community in the world. 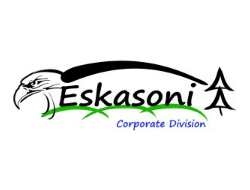 Eskasoni Chief and Council are committed to our communities businesses. They promote Economic Development and support for their community’s entrepreneurs.